Requires minimum of 13'x16' cable footprint. 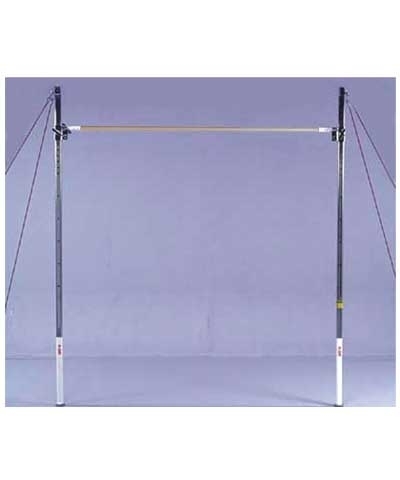 The Women’s Adjustable Training SBT or Hi Bar includes the A108 Women's Fiberflex rail and adjusts from 45" to 108". The uprights are 2" square heavy gauge chrome plated steel. The upright bar collar features Quick Change Eyebolts and Tightening Knobs. 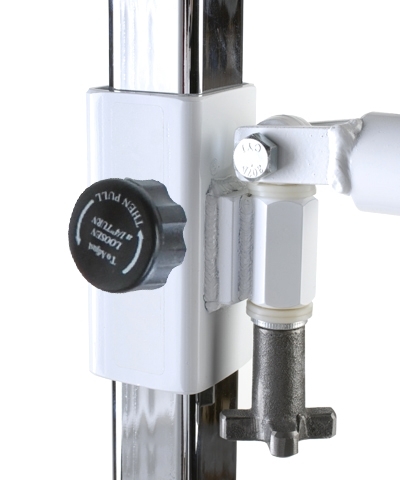 Simply unscrew the knob and pull out the rail or bar with the eyebolts remaining attached to the rail or bar. Insert the other rail or bar with eyebolts attached and tighten with knobs. Collar adjust with adjustable clamping pin. Includes cable load binder to release tension when adjusting bar. Requires 4 floor or 6 floor plates which are not included (4 for cables and 2 for uprights). 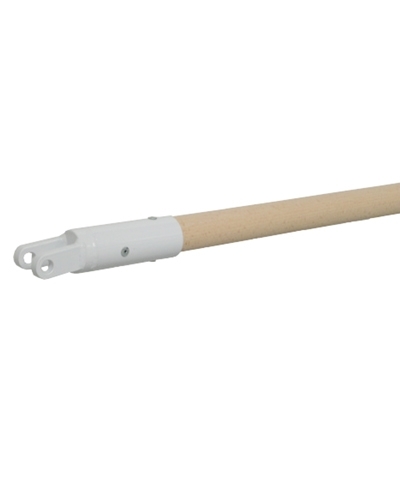 Includes upright anchors for concrete floors. Minimum floor plate dimensions 13'x 16'. Recommend minimum matting-two 8'x12'x12cm landing mats. Order T905EB to change in or out another rail or bar. Pictured with steel bar and not the women's rail. Must ship motor freight. Please use the quote button to request motor freight charges..